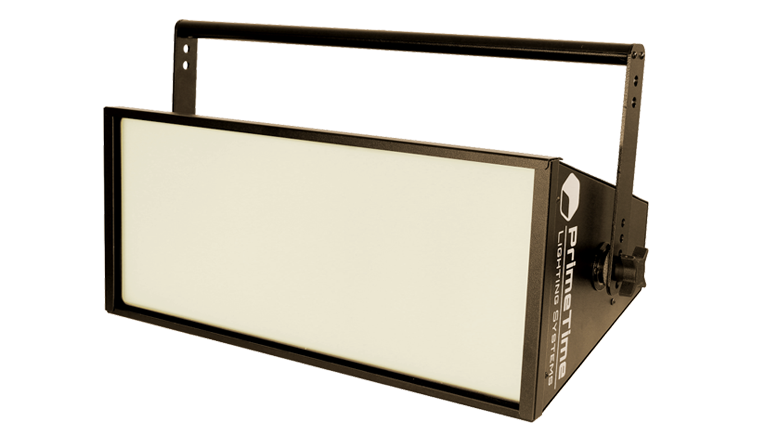 Broadcast studio lighting manufacturer PrimeTime Lighting Systems continues to upgrade its LED line of lighting products. The new 1SLED XB2 boasts a 95+ CRI and is 44 percent brighter than the original version which debuted over a year ago. “The bright 1SLED XB2 features a single soft shadow and has more punch and throw than any SLED we’ve made to date,” said Glen Harn, CEO of PrimeTime Lighting Systems, in a statement. The 1SLED XB2 can be used to upgrade broadcast studios, distance learning centers, video conference facilities, city council chambers, worship facilities or TV commercial production studios and can be used as key or fill light. The LEDs are manufactured in Texas with PrimeTime’s energy-saving LED technology for cool and comfortable talent illumination and are backed by a five year warranty.